One might say, to slightly amend that well known Irving Berlin number there’s no theatre like ensemble theatre, and at The Courtyard we have had a veritable feast over the past three years with the exciting promise of more to come. Now, by way of a splendid Christmas time treat we can feast on the wonderful family show which is Arabian Nights. The preview performance my wife and I enjoyed the other evening was another special evening of theatre at this now much loved theatre and the ensemble richly deserved their ovation at the end. As the show progressed, I was almost taken back to my primary school days -many years back! -when one was first introduced to these marvellous stories. How exciting to eventually see the tales of Ali Baba (not forgetting the Forty Thieves) and Sindibad the Sailor staged with such imagination and panache. The other tales were new to us, but equally special for entertainment and the theatrical magic which is storytelling. I shall return to the show -literally -and by way of blog during the course of the Stratford run. Meanwhile,I urge all who read this (and thanks for doing so ! ) to hasten to The Courtyard as soon as possible to share in a these theatrical “nights” to truly remember. A lovely thought that in fifty years hence the primary children in the audience will be telling their grandchildren of the occasion when THEY first encountered Ali Baba and Sinbad through the special journey which is theatre. Meanwhile to Dominic Cooke, the indefatigable acting ensemble plus the entire production ensemble, all the VERY best for the press performance. 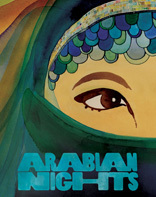 Arabian Nights plays at The Courtyard Theatre, Stratford-upon-Avon from 5 December 2009 – 30 January 2010.